While many consumer-level drones are aimed at people who want to take long-range selfies or eye-catching Instagram photos of notable landmarks, DJI’s range of UVA devices takes things a little more seriously. These are drones created for professional users who want crisp 4K aerial video footage and pin-sharp photos, and they come with price tags which befit this status. 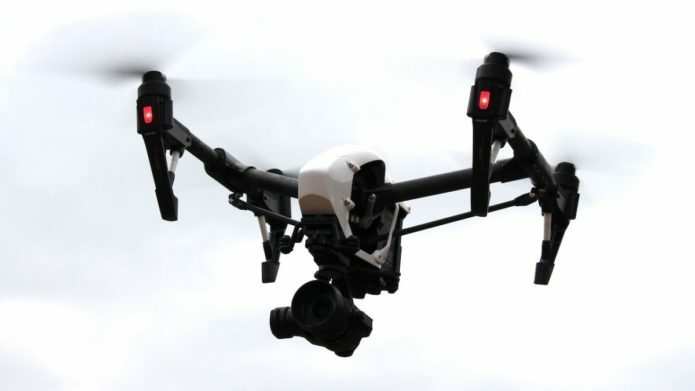 The Inspire 1 may be getting on a bit now – it was first released in 2014 – but it’s arguably one of the most powerful and capable drones money can buy, offering an astonishing amount of control, a robust build and the ability to upgrade certain elements such as the camera, battery and propellers. As we’ve mentioned, like the company’s other drones the DJI Inspire 1 doesn’t come cheap. Having said that, the price has fallen since it was launched a few years back, and you can now purchase it direct from the manufacturer for £1,849.00 (US$1,999, AU$3,399.00).